10 injured as doctors, security officers clash in LUTH – Royal Times of Nigeria. 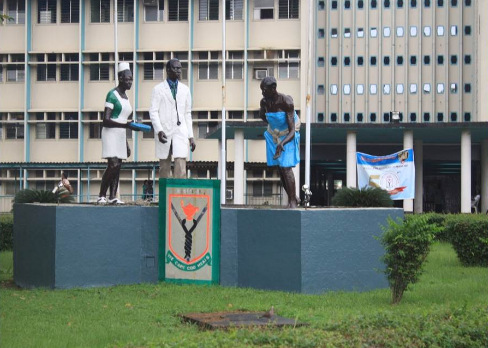 Resident doctors at the Lagos University Teaching Hospital (LUTH) had a face-off recently with some security officials in the bid to prevent a takeover of their secretariat. The management of LUTH had asked the doctors to vacate the building they used as their secretariat, and in refusal, it was locked. The resident doctors then stormed the place in a bid to re-open the building but only met with security men who stopped them from entering the place. A Twitter user with account @ib_rave posted a video of the incident online. Fayose: Ozekhome, supporters besiege EFCC.